Clarion Collection Hotel Aurora is a charming gem with a friendly atmosphere in central Tromsø. We offer conference facilities, Jacuzzi, relaxation and unbeatable views. Afternoon Sweets and Evening Meal is served every day! We are a cash-free hotel. Staying at Clarion Collection Hotel Aurora gives you the chance to experience Tromsø up close. Our central location makes it the perfect base from which to discover everything Tromsø has to offer. You'll find a wide range of exciting culture events and entertainment here. If you'd like to take a boat trip, Tromsø Quay is right on your doorstep. Clarion Collection Hotel Aurora is a friendly hotel. 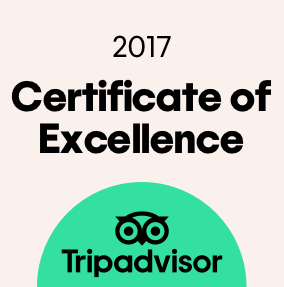 We want you to have the best possible stay, and will do everything we can to help you, whether that's by assisting with a table reservation or by giving you advice about local attractions and activities. In addition to a wonderful breakfast, we also serve Afternoon Sweets and an Evening Meal every day. More information about our food and beverages here! For a truly indulgent experience, unwind in our relaxation area. It's got a sauna, an outdoor Jacuzzi and fantastic views of Tromsø. 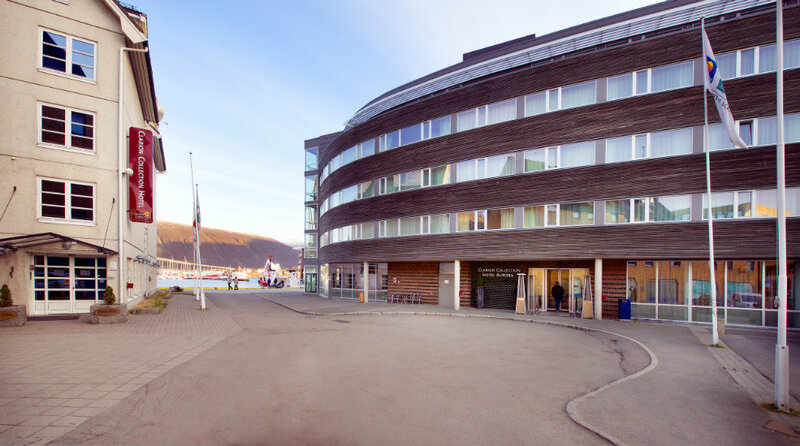 Enjoy the calm atmosphere and stunning views of Tromsø's picturesque surroundings. Clarion Collection Hotel Aurora also has a gym, so you can sneak in a quick workout while you're here. We have five modern conference rooms and our largest venue can accommodate up to 140 people. The hotel's auditorium is ideal for large parties and events. Contact us with your ideas, and we'll help you organise your conference or event! Clarion Collection Hotel Aurora is cash-free, which ensures added security for our guests and visitors. More information about this can be found under FAQs. Find out more about Tromsø here. Take the no. 28, 26, 24, 20 or 42 bus to the Sjögata bus stop. Take the airport shuttle bus to Scandic Ishavshotel, the last stop. about 10 minutes by car.